This functional 24 Can Cooler is a practical size for any outing. 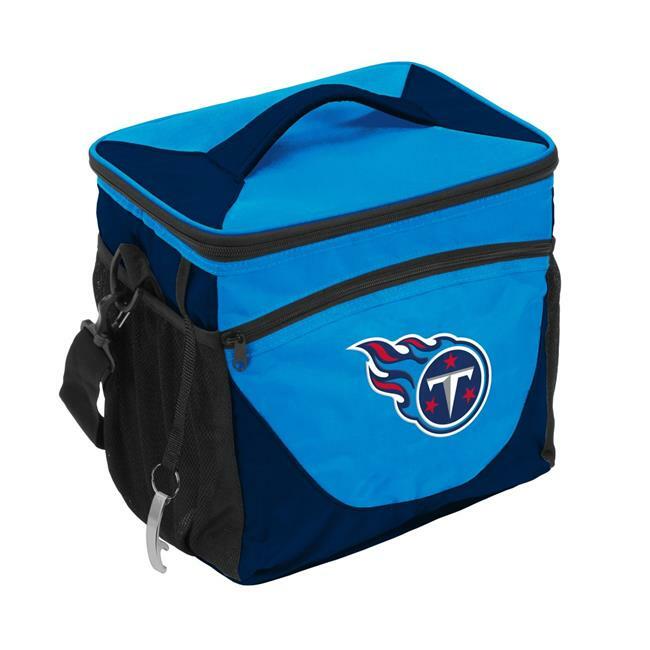 Its made with a heat-sealed, leak-proof lining to help keep your snacks or drinks icy cold. Holds ice for 24 hours. It has a zipper dry pocket on the front and a mesh pocket on each side. Use the handle on the lid or the detachable shoulder strap.